While a lot of people choose to show their appreciation on Mother’s Day with expensive jewelry and fancy clothes, there’s something that moms appreciate way more – and that is time. 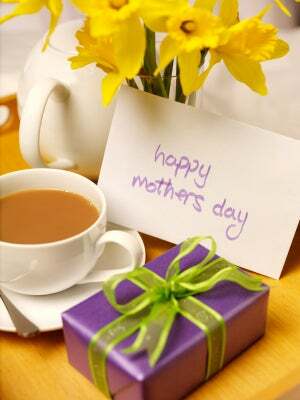 It takes time for you to make Mom a perfect gift, making homemade presents more precious than anything you could buy in a store. That said, here are some simple ideas of things you can make for Mother’s Day. Each one is fairly simple, but allows you to put your own touch on them. That way, you’ll end up with a gift that’s one of a kind – just like your mom! Sometimes nothing relaxes Mom like a cup of tea! If you’re super ambitious (never a bad thing) you can make Mom tea from scratch, but if you have some of her favorite already packaged tea around, the end result will be the same. Simply remove the existing little paper tags at the end of the strings. You’ll be making your own tags and can use any kind of paper you’d like. The tags can be colorful, patterned, cut into fun shapes, or even plain. On each one, write something you love about your Mom and adhere them to the string using either glue or staples. When you’re finished, place them in a box or tin that you’ve decorated. It’s a simple gift, but it’s one that will make her morning tea ritual more special than ever. Tra-la-la-la-la! Every girl likes to be pampered – and that includes Mom! But you can save her (and her wallet) from a trip to the spa by making a homemade face scrub. It’s super easy to do and will leave Mom’s skin feeling fresh and rejuvenated! For a simple but effective scrub, mix together 6 tsp of honey and 3 tsp of sugar, either cane or brown. Depending on what you have to put it in (a Mason jar or old pasta sauce jar works fine), you may want to increase the recipe. After your gift is tightly sealed, wrap it with a pretty ribbon and it’s ready to present to your lady fair! You don’t have to give mom a necklace of gold or silver for her to be impressed! Take a thin strand, such as thread or beading string, and cut it about 40 inches long. After folding it in half, tie one end into a loop, then slide on a button. Tie a slipknot about an inch from the previous knot, and repeat! After you’ve gotten about 12 buttons on the string, tie a final one onto the end to use as a clasp. (The more strands you choose to add on, the more intricate the necklace will appear.) After you’re pleased with the look of your necklace, lay it in a box or simply wrap it in tissue paper. Secure it with a ribbon and you’ve got an adorable gift for Mom. Go with Mom everywhere she travels – even the places that are fictional! You may have an actual, physical photo booth close by in a mall or shopping center, but it’s okay if you don’t - there are apps for that now. Just go online and find a site (like this one) that allows you to create your own photo booth –like pictures. Remember that they’re supposed to be funny – so go ahead and be silly! After you’ve taken the photos and printed them out, it’s time to make them into a bookmark. Take a sturdy paper, such as cardstock, and adhere the photos to it using a glue like Mod Podge. You can decorate the paper, leave it plain, add a tassel – whatever – it’s whatever you think Mom will like best. Nothing beats fresh herbs…so long as you know which ones to use. Help Mom keep track of where she potted them with helpful herb markers that you’ve made! All you’ll need are either Popsicle sticks or wooden paint stirrers and a way to decorate them. Anything goes from markers to chalk board spray paint. Be creative, have fun, and try to remember to actually write the names of the herbs on there at some point. It’s no secret that Mom likes it when things smell good – and her clothes are no exception. Sachets are great because not only do they keep Mom perfumed with the smells she loves, but they can also protect her clothes from pesky critters like moths. If you happen to have pouches, like those used for jewelry, lying around, they make great sachets. If not, don’t worry; it’s very easy to make your own. Take two 4-inch squares of fabric and sew three sides of them together and leave a ¼ inch border from the edge to your stitch. Fill the center with herbs like lavender, rosemary, cinnamon, cloves, or a combination that smells good to you. Stitch up the fourth side. If you make a few different ones, you can wrap them with a bow and present to your leading lady.